When it comes to selling your home, appearance is everything. From the moment potential buyers step onto the front walkway to when they are searching closet space to the moment they are shaking your hand and leaving the home, you want to maintain an attractive and inviting space, always—fear not, these simple ways to improve the saleability of your home are easy on your wallet and your schedule. You don’t need to pour tons and tons of money into renovations or landscaping to create a beautiful home that buyers will instantly be attracted to. And remember: when potential buyers tour your house, they want to be able to envision their own family in that space. You have undoubtedly created many wonderful memories in your house, but buyers care about the memories they will eventually create, not the ones that your family already built over the years. Make sure you keep this in mind when you are preparing your house for sale. If you are in the early phases of planning to sell your home, give the team at Jacob Petz Realty a call today. Our Whatcom County realtors can help you list your home and will be right by your side through the entire selling process. We will work directly with you, ensuring you are never in the dark about the status of your home. As we work together towards selling your home, check out this list of simple steps you can take to boost your home’s saleability. These fast modifications are budget-friendly, require minimal effort and will result in a beautiful home that sets itself above other homes for sale in the area. This may be one of the most obvious steps you can take to create an attractive space, but you would be surprised how many people think a quick dusting and vacuuming is sufficient before showing a home. The truth is, a deep cleaning is essential before you list and start showing your home to potential buyers. Not every client will be swiping surfaces with a white glove when they tour the home, but it is still an important step to take to show off how well the house has been maintained since you have been living there. If it is in your budget, you may consider hiring a professional cleaning crew to conquer the deep clean. Housecleaners are experts in their field and will make sure that every single nook and cranny is spotless—plus professional cleaners will complete a more thorough job in half the time. This will save you lots of time and give you peace of mind knowing your home is clean and ready for potential buyers! If hiring a professional cleaning team is out of your budget, don’t worry! You can absolutely tackle a deep cleaning job on your own (or with help from the rest of the family)! There are several “danger spots” that you will not want to miss when you clean including ceiling fans, baseboards, countertops and windows. Don’t forget to wash your windows both inside and out. Wiping off the ever-present window film is a quick and easy way to show how well lit the house, while also ridding windows of sticky handprints, dog nose streaks and other distracting buildup. This step-by-step guide from Molly Maid details how you can deep clean your home without professional assistance. Everyone loves closet space, and lots of closet space means lots of room for storage. Whether the potential buyer is a shopaholic with an extensive wardrobe or a family of eight with boxes and boxes full of belongings, people appreciate being able to store things that are out of sight but are still easily accessible. With this in mind, you can understand how important it is to clear out and organize your closets to show off just how spacious they are. As we previously mentioned, potential homebuyers want to be able to imagine their own family living in the home. They want to see how much space they are going to have to work with after they move in. If your closets are packed full of boxes, heavy coats, piles of shoes and stacks of unfolded shirts, a buyer is going to have a near impossible time trying to picture whether they can fit their own belongings into the space—and this extends beyond just closet space! The same concept applies to each room in the house. Start packing the clothes/belongings you won’t need until you move, and neatly organize the remaining items. Your closets don’t have to be completely emptied out, but there should be ample space on the clothes racks and shelves. You know how spacious your closets and rooms are, so show them off. Buyers looking for big, open living spaces will immediately check “lots of space” off of their list of real estate requirements. Your big sale may be right around the corner! When you have lived in your home for a few a while, certain things that start to go unnoticed, simply because they just “are.” For example: your carpet or hardwood floors. When was the last time you actively looked down at the floor and examined the years of beating your carpet has taken? Maybe you are someone who stays on top of cleaning the carpets, but do you move bookcases, couches and other furniture when you clean? If hiring a professional crew to help you clean your carpets and buff your floors is not in your budget right now, you can temporarily resolve stains and scratches on your own with a walnut and carpet shampooer. If you are down at floor level and notice blaring scratches and scuffs on your hardwood floor, simply rub those imperfections with a walnut. You will first want to confirm what type of finish is on your floor. We also recommend testing the walnut on a small corner of the room before you commit to the larger, more visible problem areas. When it comes to shampooing your carpet, the more area you can cover, the better. Shampooing every inch of carpet in every room of your house can be rather time consuming—if that kind of time commitment isn’t possible, focus your efforts on shampooing the most obvious and noticeable stains. When you are finished, you will be surprised how rejuvenated your house looks simply because your carpets are clean! There are many reasons why organizing and packing away clutter will improve the saleability of your home. Remember when we explained (several times over) that buyers want to envision their family in the home they are viewing? If your home is packed full of Little League trophies, family photos and other personal belongings, buyers are going to have an extremely difficult time picturing their family in the home with so many items pointing to your family. When you are preparing your home for a showing, keep the knick knacks and personal belongings you display to a minimum. Leaving just a few family photos on shelves is a good idea because it will help potential buyers understand that this home warm and perfect for a family. The key is to set the tone without being overwhelming. So pack up all of the decorations and belongings that make your home look cluttered and stick to the minimum. If the space happens to look too bare after you pack, adorn shelves and tables with understated, decorative home decor. We have said it before and we’ll say it again—when it comes to selling a house, first impressions are everything! Potential buyers will start formulating their opinions the second they step onto the curb in front of your house. Is the paint chipping on the shutters? Is the knob on your front door old and hard to turn? If the grass in the frontyard dead or completely overgrown? Do not make the mistake of thinking it’s OK to focus all of your efforts on the house’s interior. Buyers are looking to purchase the entire property, including the front, back and side yards. To start, a fresh coat of paint on the window shutters, front door and trim will do wonders in brightening and freshening up your home’s exterior. Pick a color that is bold and tasteful. Who knows, that big red door could catch the eye of a buyer who may have otherwise walked right by your property! After you choose the right color for your door, you can easily match or coordinate which paint you choose for the trim and window shutters. If there are other areas around the exterior that need a tiny touch-up or two, take the time to do a quick perimeter check. Details matter! In terms of yard work and landscaping, use your best judgement. Is your yard in total disarray? Or does it look A-OK, like mowing the lawn and raking leaves will transform it? A little yard work will go a long way. Now, we’re not suggesting you have your front bushes trimmed, Edward Scissorhand style, into the shapes of elephants and squirrels. A green lawn with well groomed landscape is infinitely more appealing than brown, patchy grass and dead vegetation. Take an hour or so to work on your yard, completing easy tasks like mowing the lawn, raking leaves and watering flowers. Chop down overgrown branches and rid the exterior of invasive vines that are winding up the side of the house. When you are done, step back and ask yourself if your property is one you would want to view, if you were purchasing a home. If you are beaming with joy, eager to lay on the green grass, you’re ready to roll. If you are titling your head sideways thinking, “ehhh,” put your gardening gloves back on and finish the areas that need improvement. 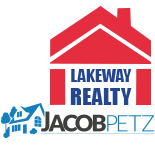 At Jacob Petz Realty, we are always available to assist you with any questions or concerns you may have. Need suggestions about the best way to pack and transport fragile belongings? We have ideas! Curious about the neighborhood you are moving to? We know ‘em all! With more than a decade of experience in the real estate industry, we have worked with thousands of individuals and families while they find their perfect property. So whether you are ready to buy, sell or invest in a property in Whatcom County, get in touch with our team today. We look forward to partnering with you and helping you make your real estate dreams a reality!